How to paint arctic environmental concept art. Learn to paint arctic environmental concept art from video tutorial and step by step images with instruction. Environmental concept tutorial icescape quick sketch study. Environmental speed-painting concept digital painting video demo. This step by step video focus on three basic conceptual color sketch elements: base colors, silhouettes, and lighting (values). The tutorial demonstrates how to quickly create efficient color sketch of environmental concept design making your rough idea onto visual sketch. If you are looking for more environmental concept art step by step painting and videos. There are more video tutorials on environmental concept sketch go to and pick on of the following: Draw and paint Environmental concept Sand Valley, Drawing and painting environmental concept Magma Fall, Draw and paint landscape mountain rock, and Environmental concept tutorial IceScape. I used to have a video for this one, but apparently I lost it and the server that use to host the video closed down. Sorry about that. 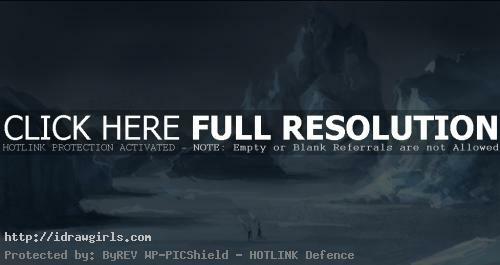 Here is a quick final painting of arctic scene. 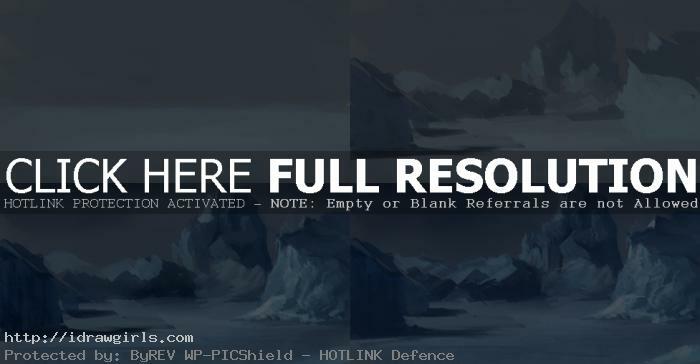 Below are step by step images process how to paint arctic environmental concept art. More landscape and environmental concept tutorials.